WII Recruitment 2019: Wildlife Institute of India (WII) / wii.gov.in is conducting recruitment processes to fill 28 vacancies. As of now, there are two recruitment drives going on for Apply Online for 25 Project Fellow, Project Asst & Other Posts and Walk in for SRF & Lab Technician Posts. WII Recruitment 2019 - Apply Online for 25 Project Fellow, Project Asst & Other Posts in WII, Dehradun, Uttarakhand on Contract Basis. Online Applications are invited by Wildlife Institute of India (WII) from 12 Apr 2019 to 30 Apr 2019 and Interview held on 13 May 2019 10:00 AM for 25 vacancies. WII Recruitment 2019 - Walk in for SRF & Lab Technician Posts on a project entitled “Assessment of spatial and temporal occupancy of tiger and elephant in relation to habitat characteristics and anthropogenic factors for the creation of Eco-Sensitive Areas in Sawantwadi and Dodamarg talukas of Sindhudurg district in Western Ghats of Maharashtra, India” in WII, Dehradun, Uttarakhand on Contract Basis. Candidates are invited by Wildlife Institute of India (WII) to attend walk-in-interview to be held on 01 May 2019 at 11:00 AM for 3 vacancies. WII Recruitment 2019 - Walk in for Project Personnel Posts in WII, Dehradun, Uttarakhand on Contract Basis. 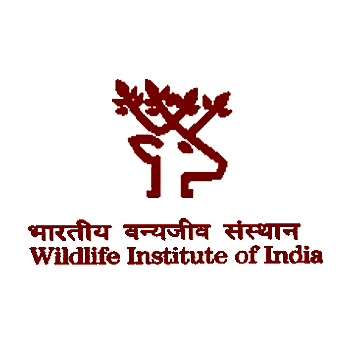 Candidates are invited by Wildlife Institute of India (WII) to attend walk-in-interview to be held on 27 Mar 2019 at 03:00 PM for 4 vacancies. WII Recruitment 2019 - World Heritage Assistant Post in WII, Dehradun, Uttarakhand on Contract Basis. Candidates are invited by Wildlife Institute of India (WII) to attend walk-in-interview to be held on 15 Mar 2019 at 03:00 PM for 1 vacancy. WII Recruitment 2019 - Junior and Senior Research Fellow Posts on a project entitled "Understanding Population Dynamics, Space Use, Movement and Diet of Leopards in Junnar Taluka, Maharashtra for Human-Leopard Conflict Mitigation" in WII, Dehradun, Uttarakhand. Candidates are invited by Wildlife Institute of India (WII) to attend walk-in-interview to be held on 25 Feb 2019 at 02:00 PM for 2 vacancies. WII Recruitment 2019 - Walk in for Research Biologist Post on a project entitled “Preparation of Detailed Project Report (DPR) on Bakhira Bird Sanctuary, Uttar Pradesh” in WII, Dehradun, Uttarakhand on Contract Basis. Candidates are invited by Wildlife Institute of India (WII) to attend walk-in-interview to be held on 25 Feb 2019 11:00 AM for 1 vacancy. WII Recruitment 2019 - Walk in for Junior Project Biologist Posts on a project entitled “Assessment of capacities and training needs of key government staff, community members/institutions and other relevant stakeholders for long-term effective biodiversity conservation, development and implementation of a capacity building framework to enhance capacities of key stakeholders in SECURE Himalaya project landscapes in selected districts of Himachal Pradesh” in WII, Himachal Pradesh on Contract Basis. Candidates are invited by Wildlife Institute of India (WII) to attend walk-in-interview to be held on 22 Feb 2019 11:00 AM for 5 vacancies. WII Recruitment 2019 - Walk in for Senior Project Biologist & Junior Project Biologist Posts on a project entitled "WII-UNDP SECURE HIMALAYA Project" in WII, Himachal Pradesh on Contract Basis. Candidates are invited by Wildlife Institute of India (WII) to attend walk-in-interview to be held on 22 Feb 2019 11:00 AM for 5 vacancies. WII Recruitment 2019 - Walk in for Project Personnel & Project Fellow Posts on a project entitled “Preparation of State Biodiversity Strategy and Action Plan of Uttar Pradesh” in WII, Dehradun, Uttarakhand on Contract Basis. Candidates are invited by Wildlife Institute of India (WII) to attend walk-in-interview to be held on 25 Feb 2019 09:30 AM for 2 vacancies. WII Recruitment 2019 - Project Biologists Posts on a project entitled “Mainstreaming Landscape Approach to Biodiversity Conservation, Improved Livelihoods and Ecosystem Health in Kailash Sacred Landscape part of India” in WII, Uttarakhand on Contract Basis. Candidates are invited by Wildlife Institute of India (WII) to attend walk-in-Written test and interview to be held on 28 Jan 2019 at 01:00 PM for 2 vacancies.